Do you ever wonder sometimes what life is like for the rich and the famous? What do multi-millionaires burn their cash on? A good glimpse to celebrity lifestyle is their homes. 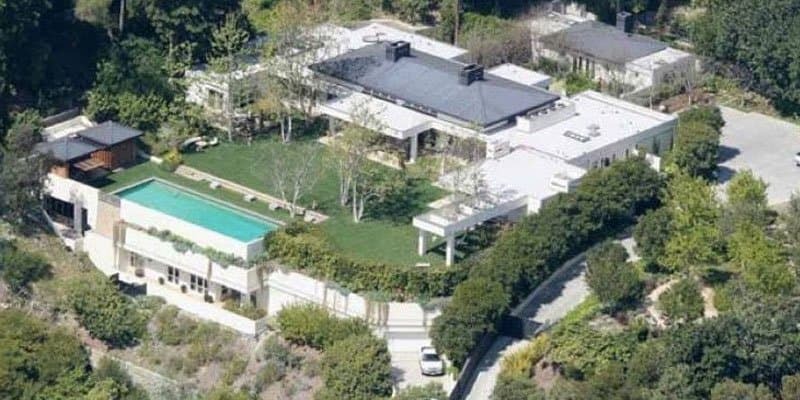 Estates owned by these filthy rich celebrities are ten times larger than an average home. 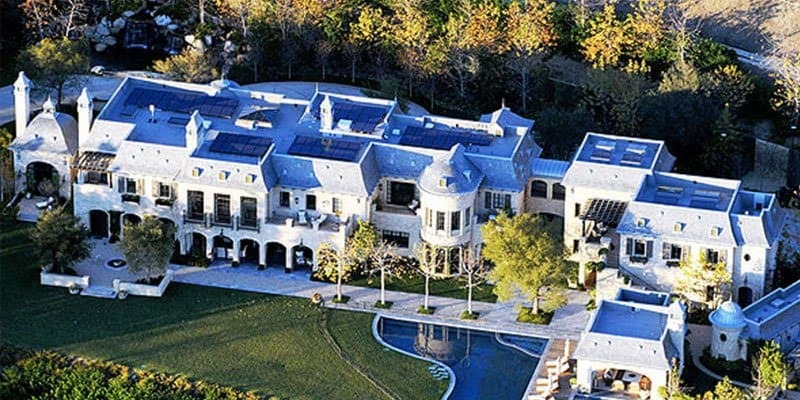 These celebrity homes cost more than what an average American will be earning his whole life. It’s envious to see how these celebrities can live lavishly–some celebrities even claimed to have not been to every room of their house! Read on for our list of the top 20 envy-worthy homes of the world’s biggest celebrities. Jenny from the block is living it easy now in her $10 million dollar mansion located in the Hamptons. The mansion property is massive enough that J-Lo’s stalker was able to live in the estate’s pool house for one week in 2013 without being found out. Taylor’s Swift lovely 11,000 sq. ft. mansion in Rhode Island was apparently paid full in cash for $17 million. The power couple’s luxurious LA estate is worth $20 million. It’s said to be 22,000 sq. ft. estate with eight bedrooms, a massive pool, gym, elevator, spa and a six car garage. 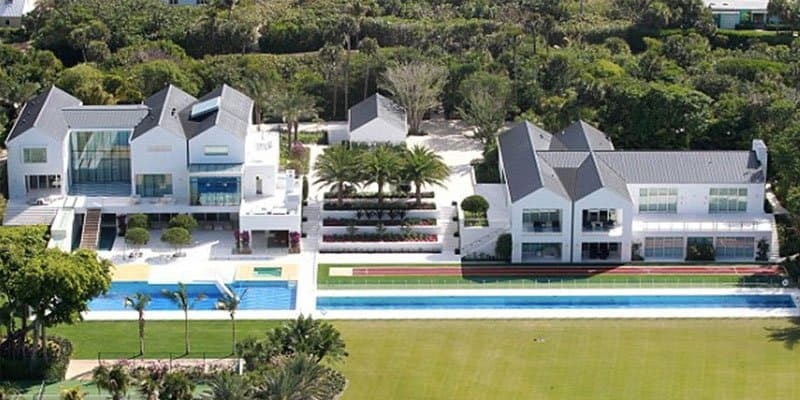 Tiger Woods definitely knows how to live like a king in his $60 million dollar mansion on Jupiter Island, Florida. It boasts a running track and golf course in his backyard. Kim, Kanye and their baby North live very comfortably in their $21.5 million mansion in Bel Air. The French Country style home is 9,000 sq. ft with five bedrooms, seven bathrooms and an elevator. Selena Gomez new home in Hollywood boasts five bedrooms and pool. It’s claimed that she specifically demanded a place as far away from ex-beau Justin Bieber. Ellen DeGeneres and Portia de Rossi live in their new home in Malibu which is smaller than their old home they sold to Ryan Seacrest. 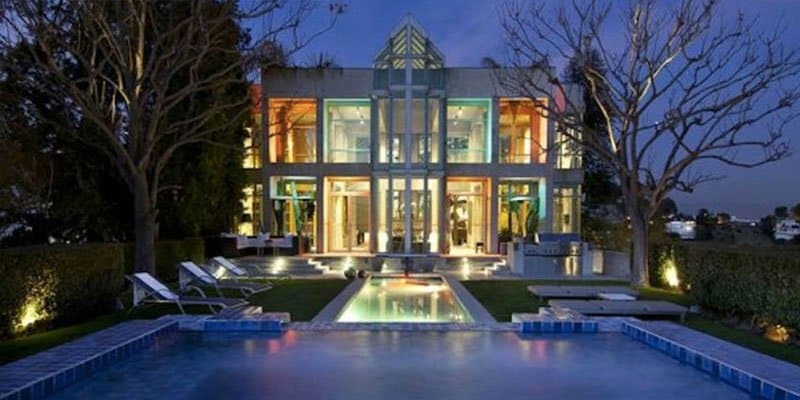 Will Smith and Jada Pinkett-Smith live in a palace. Their outstanding Malibu home is a staggering 25,000 sq. ft. which they built with careful attention and detail. 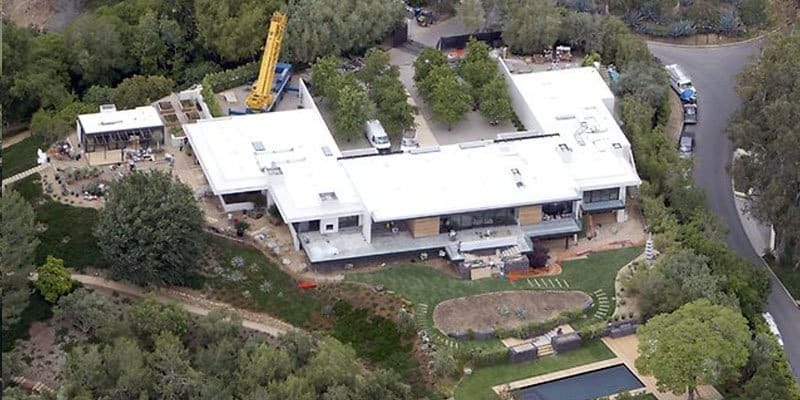 Their mansion in Calabasas, California, boasts tennis courts, a lake and a recording studio. Recently though, the home is up for sale for $42 million. Ryan Seacrest just purchased the Beverly Hills mansion from Ellen deGeneres for $49 million The 9,500 sq. ft property has nine bedrooms and guest houses. Simon Cowell is currently living in his dream home. 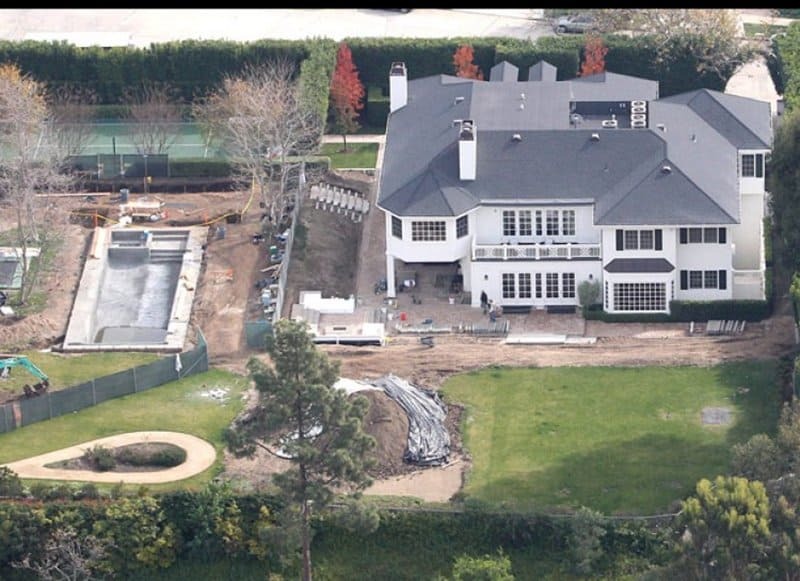 The dream mansion supposedly took five years to build. It is 9,000 sq. ft with six bedrooms, a spa, steam room, lap pool and massive theater. 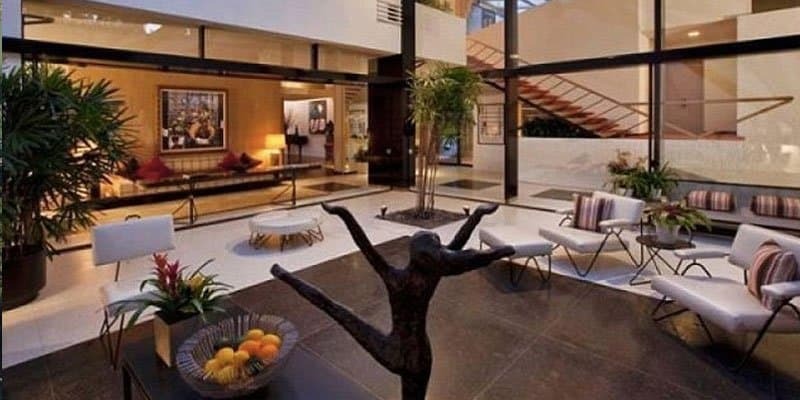 Jennifer Aniston has been living in this huge Beverly Hills home for a long time. She has renovated the home several times over the years–but is now planning to sell for an asking price of $15 million dollars. Of course, Oprah Winfrey must have the most massive mansion in the list. Oprah’s estate is located in Montecito, California with an estimated worth $85 million. The Montecito estate a massive property, over 23,000 sq. ft, and that doesn’t even include her ostentatious mansion! Jerry Seinfeld has a $32 million dollar home which he bought from Billy Joel. Jerry Seinfeld now lives in the Hamptons. He refers it as a ‘laid back home’, but judging from the massive property it doesn’t look anything ‘laid back’ to us at all. Rihanna owns several properties from LA to Aspen, but her latest real estate investment is in her home town Barbados. The mansion is located at One Sandy Lane and costs $21 million dollars. Matt Damon’s property in LA is considered as the best house in Pacific Palisades. The mansion is worth $15 million dollars and has a 30-ft-high ceiling, seven bedrooms, ten bathrooms and a five-car garage. 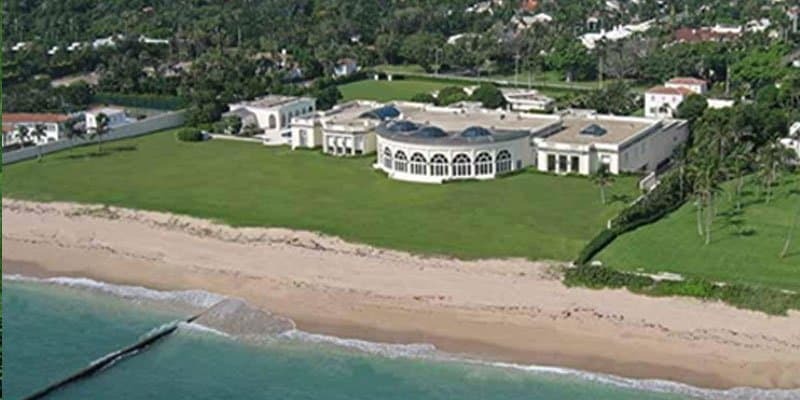 The Trump estate is located none other than in Palm Beach, Florida. At 80,000 sq. ft and a $125 million worth, Trump’s house looks more impressive than the White House! His property boasts two guest houses, a 40-car garage, conservatory and overlooking the ocean. Cher’s Italian Renaissance-style home in Malibu is 14,000 sq. ft that features an infinity pool overlooking the Pacific Ocean. It is currently worth $45 million. The Star Wars director lives comfortable in his $21 million property located at the Pacific Palisades. Conan O’Brien is also among the several celebrities whose mansion is located in the luxurious Pacific Palisades. His estate is worth $20 million and also just recently purchased the neighboring property to extend his estate. 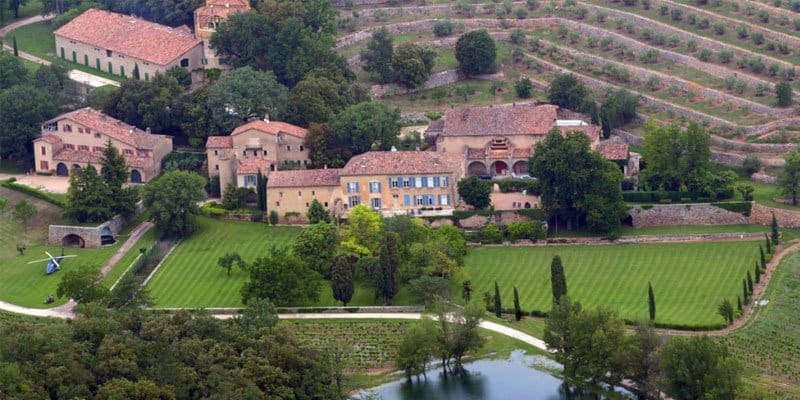 The Jolie-Pitt clan has an impressive chateau located in the South of France. It is worth $60 million dollars, has 35 rooms and an impressive moat.